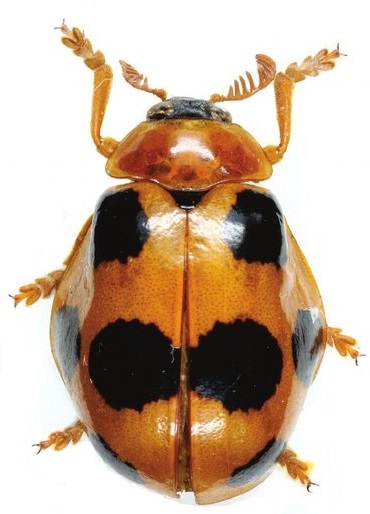 Clytrasoma balyi, from Agrain et al. (2015). The Clytrini are a group of leaf beetles whose larvae are commonly found in association with ant nests. Members of this group have a kotpresse usually composed of five sclerites with a flat central plate accompanied by two lateral sclerites with broadened horizontal terminations, and two well separated ventral sclerites with large apodemes (Schöller & Witte 2007).